Alweer een geslaagd nummer van Drake, netjes. Puh... ja. Also Drake-Fans werden wohl auch mit diesem Song ihres Lieblings wieder sehr viel Spaß haben. Der sei ihnen gegönnt, ich allerdings kann auch damit wieder nur sehr wenig anfangen. Das Arrangement immerhin ist an einigen Stellen ganz nett und verspielt, das macht so ein paar Pünktchen bei mir. En dessous de ses derniers singles. Je serais très surpris que ça devienne un tube. Krijg hier dezelfde uitslag van die Craig David CS bij me oproepen. Na het bij vlagen briljante album Views, komt deze nieuwe release eigenlijk vrij onverwacht en snel. Het is ook lang niet zo goed. Quite bland, but there's nothing particularly bad about it. I really enjoy this for some reason. Wenn der Neueinstieg der Woche nichtmal die Top-50 erreicht, sagt das schon alles aus. Mehr kann ich hier nicht vergeben. alles andere als schrill, aber auch alles andere als gut! Damit kann ich beim besten Willen nicht viel mit anfangen. Drake, Rihanna, Beyonce etc need to be put into a rocket and crash. Terrible song. Eh. The vocal delivery on this is just awful and strained, but even elsewhere, there isn't anything good I can say about this.<br><br>This reminds me of why I didn't like "Views", mainly because of how boring and unauthentic it feels. 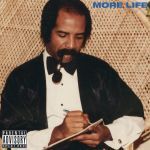 And, also, if I wanted to hear Drake sing about the themes he sings about on this song, he already has so many other songs which does it better than this. Der ist genau so schlecht wie das masslos überschätzte "One Dance". Ein langweiliges Stück Musik, das ohne Höhepunkt vor sich hin plätschert. Keine Ahnung, wieso den so viele Leute so gut finden. Knappe 3. Congrats to Drake for entering that list of artists who at some point in time during their career end up being so big any old thing they chuck out does well. But "Fake Love" does leave a fair bit to be desired. It does sound rushed and tossed off, and though I haven't heard "Views" in full it does sound like a rejected track from that album. Which is a pretty sad observation to make considering "Views" is twenty tracks long.<br><br>Sure at times I can relate to the lyrical content, but it's hardly presented in a way that sounds convincing. The sound of it is and Drake's performance does contribute to that feeling of laziness. A bit tedious to listen to after a while. I did like this for a bit but really c'mon Drake you can do better than this. Perhaps a break for a few years is needed.